4a. Individual Reflection on Group Consulting Experience. What were the dynamics that occurred between the members and within the group? How do they compare to the textbook description of group dynamics? What structure emerged for the group? How did your group’s process compare to the process described in the textbook? Was there any conflict that may have arisen in your group? How was it resolved? How does this compare to the process of conflict described in the textbook? Did your group have a leader? If so, how were they chosen? What communication issues did you encounter in your group? How were the problems resolved? 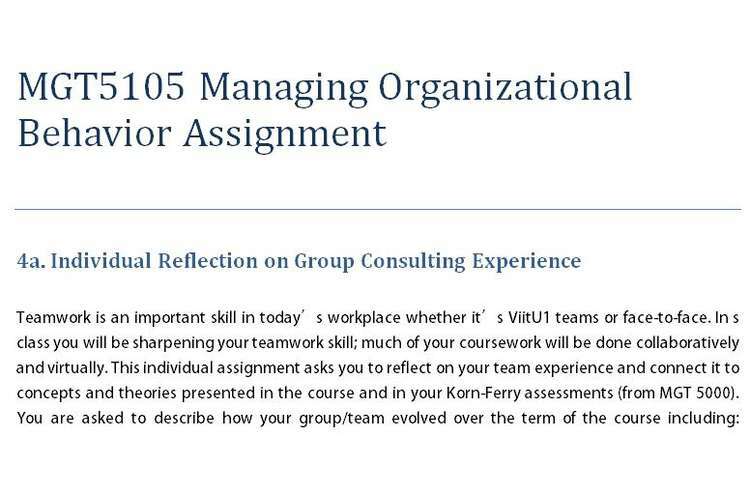 How did your Korn-Ferry assessment results play into the group project and your insights into the process?